Tuflex Fincore Drainage Geonet is used as a replacement for traditional thick aggregate layer of leachate and gas collection layer. Fincore drainage Geonet is used in stadiums, golf courses, terrace gardens, flower bed application for proper drain-outs, pore pressure reduction and stabilization. Fincore drainage Geonet is also used for drainage behind retaining wall, sub-surface drainage and vertical drain to release excess pore pressure. 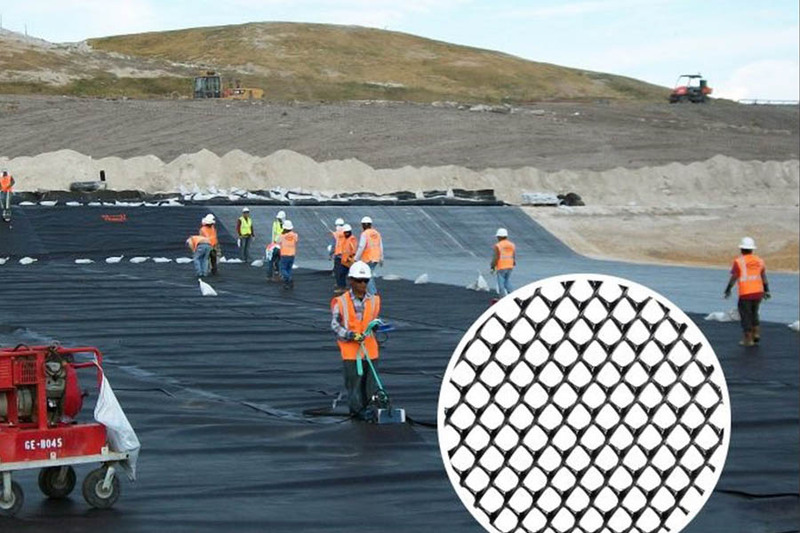 Fincore Drainage Geonet can be used in composition with Geotextile and / or Geomembrane for leachate detection and collection layer for leachate and gas for hazardous landfill and municipal soil waste application. Another use is either single or in combination with Geotextile or Geomembrane, to provide the required solution for drainage in retaining wall. For surface drainage, Tuflex drainage systems provide maintenance-free solutions in contrast to open drain. In sub-surface drainage problem, it ensures dissipation of pore pressure without clogging and prevention of migration of fine satisfying piping and permeability criteria.